Increase the quality and effectiveness of feedback to boost student performance. Engage students in meaningful reflection with writing prompts and exercises. Reenergize a lethargic class using movement-based activities. Integrate technology to create a more enriching classroom experience for students. Encourage students to speak up, share their ideas, and talk about their learning. 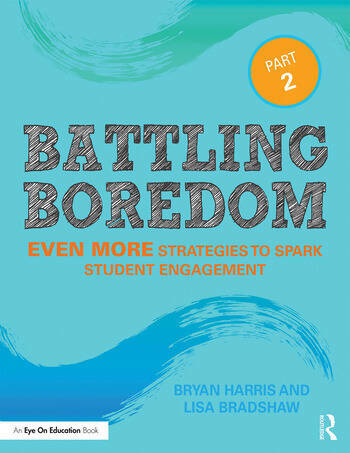 With this toolbox of instructional strategies, you’ll have even more ways to end student boredom before it begins, resulting in class time that’s more efficient, more educational, and loads more fun! Bryan Harris is the Director of Professional Development and Public Relations for the Casa Grande Elementary School District in Arizona. Lisa Bradshaw is the Director of Information Technology for the Casa Grande Elementary School District in Arizona.